Hide deals from seller "Auto Detail Solutions"
Click 'Get It' and select Car option or SUV/Van option. Limit 1 per person. Valid on hand wash with tire, window, seat and mat cleaning. Complete vacuuming included. Promotional value expires 90 days after purchase. $10 for a car wash and detailing ($20 value). $15 for an SUV or van wash and detailing ($30 value). Each of these packages includes a hand wash as well as cleaning of the tires, windows, mats and seats. Your vehicle will also be thoroughly vacuumed for a complete clean. In addition, Auto Detail Solutions offers other services such as glass tinting, car alarm installation and body work. Their detailing experts will make sure that your ride looks beautiful from the inside out. 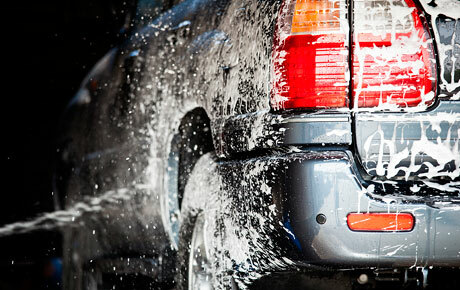 An auto detailing center in Oak Lawn offering hand car washes, detailing packages and more.